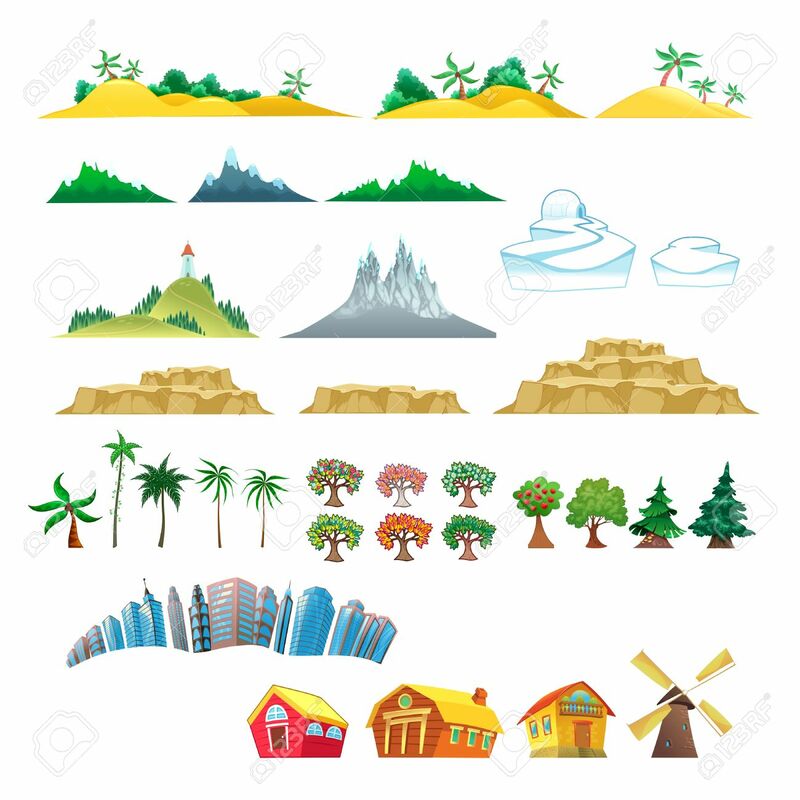 Set Of Trees, Mountains, Hills, Islands And Buildings. Isolated.. Royalty Free Cliparts, Vectors, And Stock Illustration. Image 25985505.